Set in an amphitheater of ebony and sausage trees on the southern tip of Chief’s Island, Stanley’s Camp sits amidst 260,000 acres of untamed and untrammeled African bush. Bordering the southern section of the famous Moremi Game Reserve this private concession is located by definition in seasonal delta. That said, the high water regimes of the past 4 years, has seen water in residence year round. 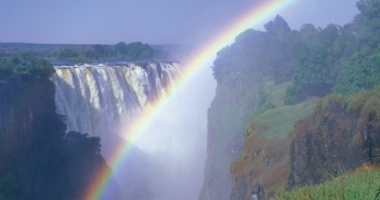 The area is home to a wide variety of big game including elephant, buffalo, giraffe, hippo, lion, leopard, cheetah and wild dog. Stanley’s is a small luxury camp consisting of 8 classic styled safari tents. The delicately appointed tents exude classic Africa; hand crafted beds dressed with the finest linen, antique furniture individually selected and oriental carpets that give a delightful glimpse at colonial Africa. Each unit offers en-suite facilities and a private balcony. Electricity is supplied by a combination of silent packed generator and battery system allowing 24-hour power supply. Game viewing in the area is extremely good with excellent numbers of predators and plains-game on offer. The area houses one of the largest buffalo populations in the Okavango Delta, which, in the dry season, can concentrate into a herd in excess of 2000 head. Game-drives are conducted in open vehicles, which offer unencumbered views. The vehicles have been custom built and offer individual seating. 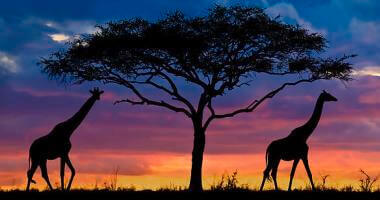 Game drives are conducted early morning and late afternoon or as otherwise requested. 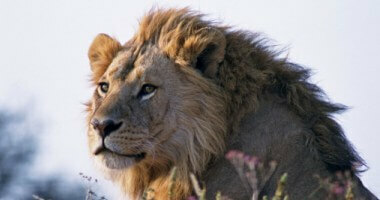 The accompanying professional guides are among the best in Botswana. Walking activities are offered throughout the year and are conducted by qualified rangers who carry firearms at all times. Mokoro (dugout canoe) activities are also offered 12 months of the year, as are night game drives. Our elephant interaction is an uplifting experience that offers a new found appreciation of elephants, providing a more personal and deeper understanding of these gentle giants. 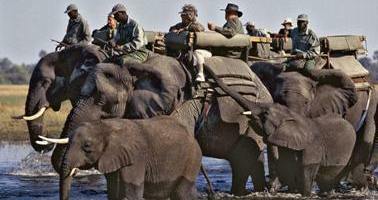 Fancy an elephant as your tour guide? Now you can with our unique elephant interaction in partnership with the Living with Elephants Foundation in Botswana's Okavango Delta. Stay at Sanctuary Stanley’s Camp or Sanctuary Baines' Camp and you can meet Jabu, Thembi and Morula, a trio of semi-habituated orphaned elephants. Observe and interact with them while leisurely walking in their big, silent footsteps through the wilderness. For a truly uplifting experience that leaves a lasting impression on all who share their time with the elephants, this rewarding activity in Botswana is a must.